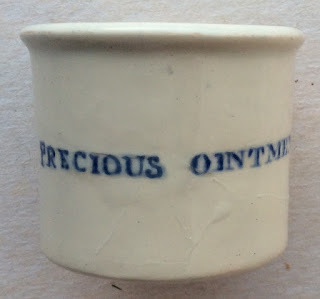 The Precious Ointment pot is a simple pot dating from around 1860. Little information is known about this pot including the retailers name and origination. It carries blue print. A small article appears in BBR magazine no.74 regarding this ointment pot. book produced by Messrs. Houghton & Priestley, page 116.